No relation to the world's most brilliant scientist, Einstein Bros. Bagels actually was created by the Boston Market company in 1995 as a way to market breakfast food. It now holds the title of the largest retail bagel store in the nation, with nearly 800 stores. Classic bagel flavors like plain, pumpernickel, and "everything," plus more nouveau varieties like spinach florentine, green chile, and chocolate chip, are all baked in-store daily, ready and willing to be sliced, toasted, and augmented with cream cheese "shmears" in a variety of sweet and savory flavors. For St. Louis carb-lovers seeking a bit more substance, Einstein Bros. also offers bagel sandwiches for breakfast and lunch topped with everything from lox and cream cheese to turkey and avocado, plus bagel dogs and pizza bagels that are head and shoulders above the miniscule microwavable variety. 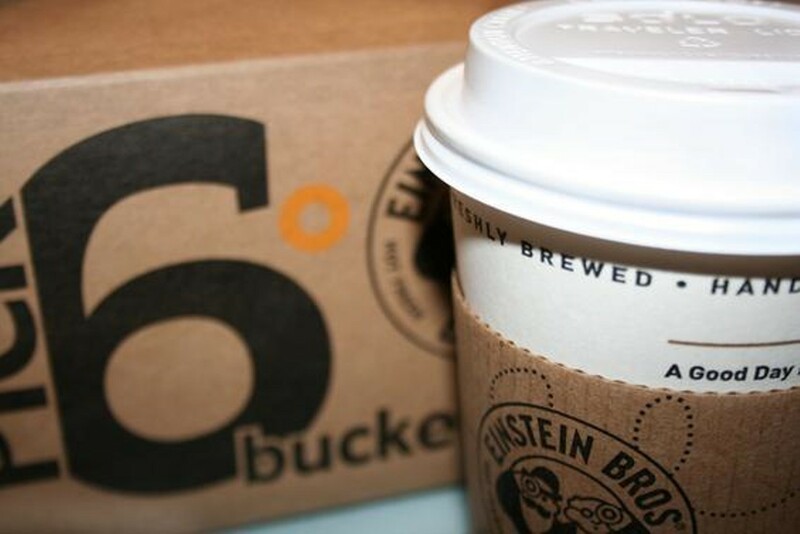 You don't have to be a genius to find your local Einstein Bros. on Voice Places.